Since joining Blue Whale Financial Solutions Inc. in 2008, Jennie has been working with individuals and small businesses to help them prepare for unforeseen life events and optimize their financial growth. With her CERTIFIED FINANCIAL PLANNER® designation, Jennie does her best work with those who are financially responsible, are looking for guidance and advice and are willing to work with Jennie as she helps them develop their plan and take action to implement. Helping people achieve financial security is one of her greatest rewards. 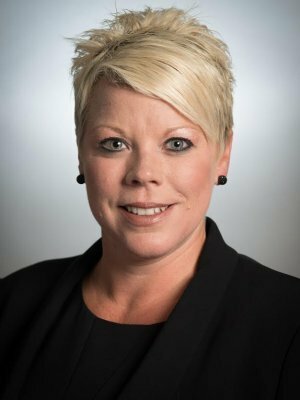 Along with her extensive background in the financial services industry, Jennie is a licensed life insurance and accident and sickness insurance agent as well as a registered mutual funds representative. She enjoys working with people and bringing enthusiasm and a positive energy to the very serious matter of money. Her clients value her unique style of planning and appreciate her ability to make the complex easy to understand. Jennie was born and raised in Regina and is an avid Roughrider fan. She has a naturally positive outlook that draws people to her. Because Jennie displays an open manner and an outgoing nature, she quickly gains the respect and trust of others. When Jennie’s not working with clients, you can typically find her enjoying the beach and a fine restaurant.